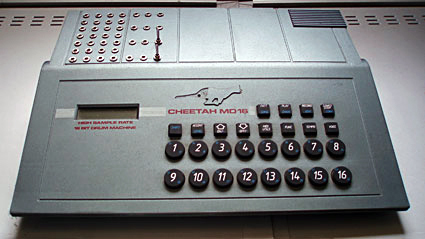 The Cheetah MD-16 is far and away the most complex drum machine ever made. Basically with the MD-16 if you can think of it then you can do it. Pitching sounds up, down, forwards, backwards and inside out is all in a days work for this beast. Want to set the start point, pitch and gate time of a sound randomly according to 'human feel' velocity? Want to auto pan a drum roll across 8 outputs while echoing the sound to other midi notes at other pitches? This is your baby! There is very little you can't do with this machine, so its a major pain that not only do you have to program all this via a 2 line LCD display but also that the onboard sounds do tend to be a little on the 'thin' side. This is not really a problem though as on the plus side all this complexity makes for the best circuitbent drum machine you will ever hear. At circuitbenders we have used a ridiculous number of circuitbent drum machines but the MD-16 is the only one that you can rely on to vomit forth something not only completely unbelievable but totally usable EVERY time you turn it on. 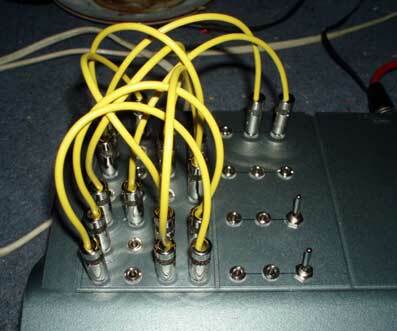 28 way main patchbay: More information and details of our patchbay mods can be found HERE. The MD-16 has so many parameters that its not surprising that it produces some very extreme resequencing of patterns and sound warping which can create some stunningly bizarre effects. The MD-16 especially enjoys it when you use a large number of connections and the patching multiples at the same time as the effects produced tend to just get more complex and bizarre rather than just descending into white noise like with many other bent drum machines. 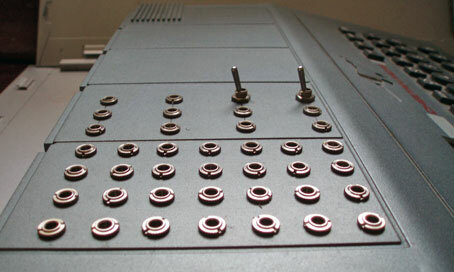 The patchbay also includes 2 X Patchable switches and 2 X 3 way Patching multiples for a huge range of further percussion grinding possibilities. Click on the demo's below for mp3's of what these mods can do. if you want your MD16 modded get in touch using the CONTACT form. © 2001-2019 Pill Shovel Productions	• All media, registered trademarks and logos are property of their respective owners.